Who says opera is boring? Well I did at one time. My mother played the piano and paid for me to have lessons. Sadly I was lazy and my mother was disappointed. How I wish I had the opportunities that our young people get in St Mellons CW School. 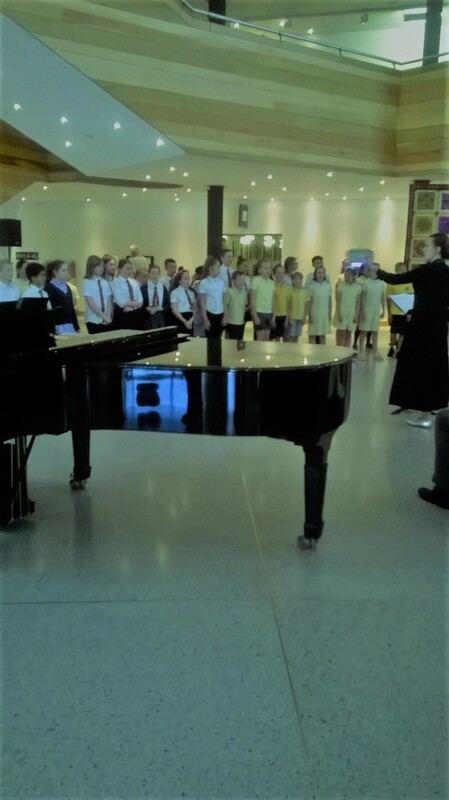 Ever since Mrs Marchesi has been here we have had links with the WNO and the young people (well early 20s) that come to train our students are amongst the most talented and enthusiastic people I have had the pleasure of watching and listening to. The way they enthuse and train our children is nothing short of magnificent. It is a pleasure to listen to them when I come into school. Also the looks on the faces of both the WNO people and our children paints a truly wonderful picture. 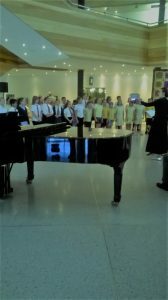 Once again the children went down to the Opera House in June and with Willowbrook Primary School did a public performance. If you missed it you missed a real treat, with songs from Ripped up Rhondda (or something like that) and Jack and the Beanstalk. All that remains is for my maiden performance of “Arm arm ye brave” from Judas Maccabeus – Handel, accompanied by Mr Meurig Thomas. Wyn Evans eat your heart out! The school would also like to record its thanks to the Julian Hodge Foundation for its financial support, thus enabling the children to have such a wonderful experience.